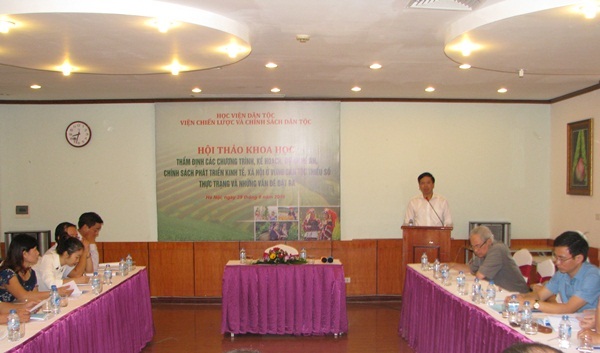 On the morning August 29th, Hanoi, PhD Phan Van Hung, Deputy Minister, Vice Chairman hosted the “Appraising programs, plans, projects, policies developing economy, society in ethnic minority area: Reality and issues" scientific Conference. Attending to the Conference, there are: PhD Be Truong Thanh and PhD Hoang Xuan Luong, former Deputy Minister, Vice Chairman of CEMA along with CEMA’s scientists and related Ministers, agencies. The function “appraising programs, projects, schemes, plans developing economy, society in mountainous and ethnic minority area according to the Law” of CEMA which have been enacted since 2012 at Decree No. 84/2012/ND-CP and continued to succeed in Decree No. 13/2017/Nd-CP. However, there is no legal document which specifically assign about the competence scale, process, procedure, time for appraising and responsibility of related Ministers, agencies for sending document to CEMA so as to checking. 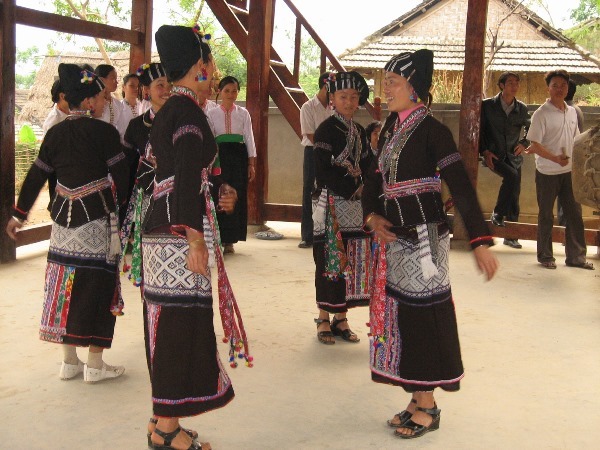 Therefore, the function appraising programs, projects, schemes, plans developing economy, society in ethnic minority area of CEMA have not been executed. At the moment, CEMA only executes tasks participating in appraisement following the Prime Minister’s direction, Ministers’ and agencies’ proposals. 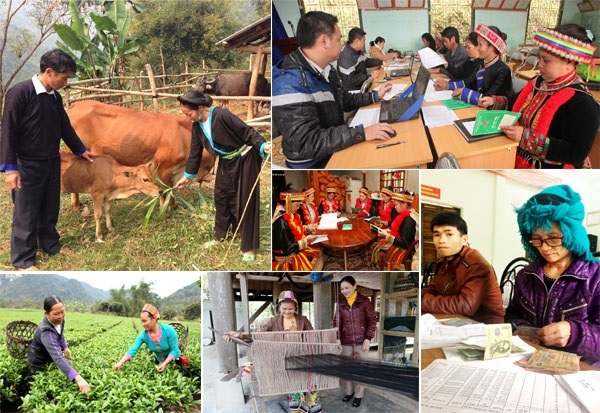 To specialize the tasks, in 2017, Prime Minister, Chairman of CEMA gave a task to Ethnic Strategy and Policy Institute of Vietnam Academy For Ethnic Minorities: researching, appraising programs, projects, schemes, plans developing economy, society in ethnic minority area. In the task, the Ethnic Strategy and Policy Institute launched the reality survey programs and conference to have opinions of managers, scientists to determine the situation and role of appraisement. The principles executing tasks appraising programs, projects, schemes, plans developing economy, society in ethnic minority area before submitting to Government, Prime Minister, CEMA needs to make sure that: Obeying and enforcing the regulation of Law; no overlapping, repeating the function, mission, appraising content of other Ministers, agencies; closely and efficiently cooperating with related Ministers, agencies in appraisement based on suitalble principle and sustainable development. At the conference, representatives stated that the important mission of appraising the efficiency of programs, plans, projects, political schemes. The Conference heard contributing opinions, scientists’ experience in appraising, participating in appraisement of programs, plans, projects, political schemes developing economy. The representatives also contributed their opinions in determining the field, content, process, solution for CEMA can participate the appraisement programs, projects, schemes, plans developing economy, society in ethnic minority area. Addressing at the Conference, Deputy Minister Phan Van Hung highly appreciated representatives’ opinions and proposals for the building of subject. 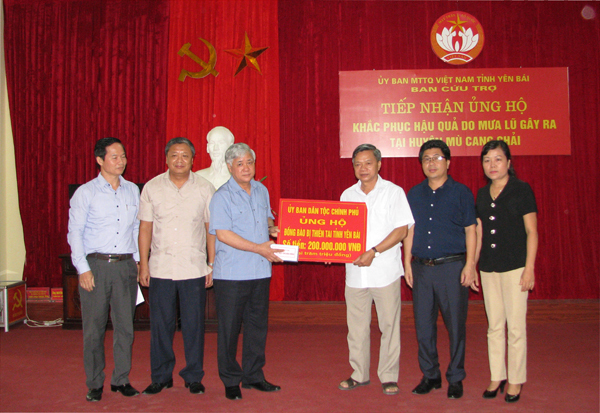 The Deputy Minister suggested that the team doing thí subject learns, fixes and competes the Subject, focus on: the legality must be emphasized (researching Circular of Ministries, learn lessons from inadequacies); clearly determine the scale, tasks of appraisement; have process and group to have a correct, specific appraisement; its content must not overlap with other Ministers, agencies; have a practical, fast, efficient appraising method. The Deputy Minister hoped that in the future, CEMA will determine appraising programs to have a legal fundamental, appraising document and process to specialize tasks from Government, Prime Minister.